Product #18494 | SKU CBL-SGL-mHDMI-HDMI-120 | 0.0 (no ratings yet) Thanks for your rating! 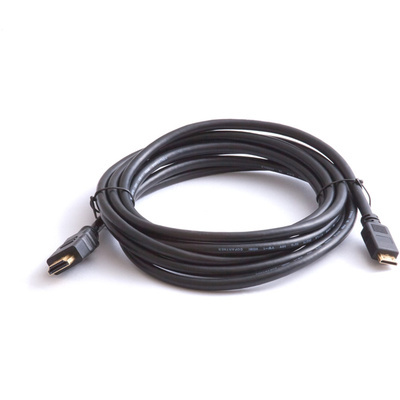 This 10 foot HDMI to mini-HDMI adapter cable from Small HD provides a connection from your DSLR's mini-HDMI output to the standard HDMI input on your SmallHD monitor. (Functions with any camera featuring a mini-HDMI output).